In order to find out how different self-defense handgun loads perform, we decided to do some ballistics gelatin testing of our own. 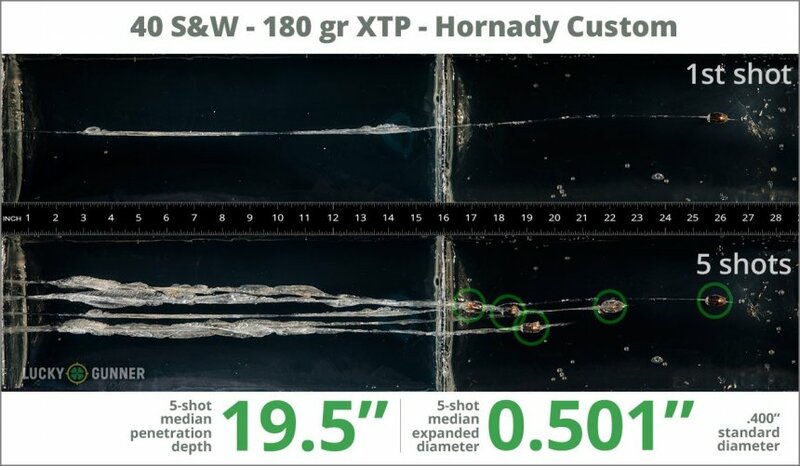 The chart below is a compilation of expansion and penetration data for Hornady 180 gr XTP Custom fired from 10 feet, through four layers of fabric (to simulate clothing), using a Glock 27 pistol. The diagrams at the bottom of the page can give you an idea of how this load compares to other .40 S&W (Smith & Wesson) self-defense loads that we tested. 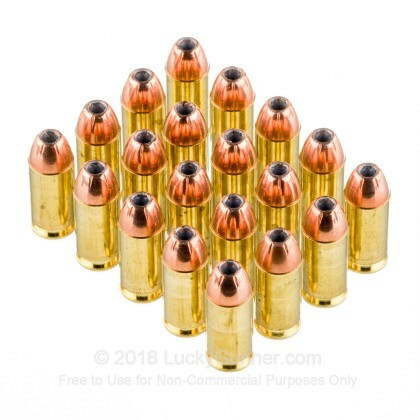 0.89" This ammo: 0.50" Min: 0.39" Median: 0.65" Max: 0.89"
19.5" 0" 9.8" 16.5" 32" This ammo: 19.5" Min: 9.8" Median: 16.5" Max: 32"
My 40 S&W M&P loved this hard hitting ammo,. 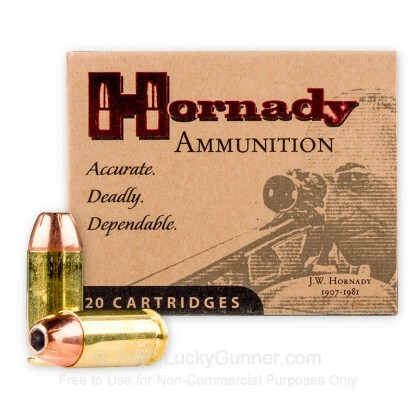 very affordable yet still reliable Hornady Ammo is the best what can I say..
recoil can be heavy for a small bodied person. I love this ammo very good carry ammo. 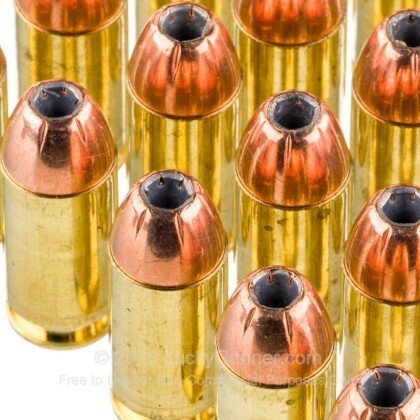 My goal is to find the best self defense ammo out there that works for my own particular needs. I wanted a heavier round that wouldn't be quite as likely to penetrate multiple walls and fly into my neighbors house, yet would knock any bad guy down when hit. I think I've found the golden ticket with these. Bought the heavier 9mm/147g version for my G19 for the same reason. 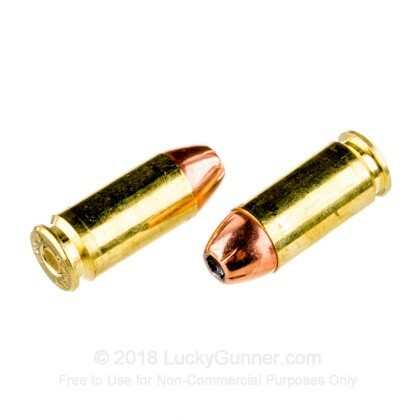 Excellent SD ammo. 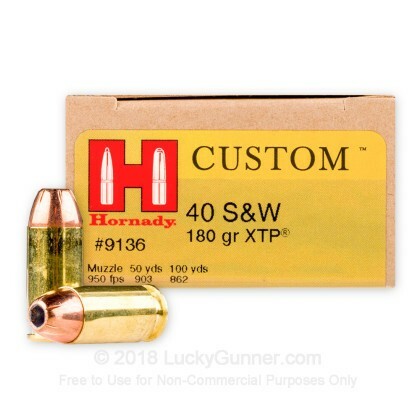 We also have this 40 S&W - 180 Grain XTP JHP - Hornady Custom - 200 Rounds ammo in stock in a bigger quantity.